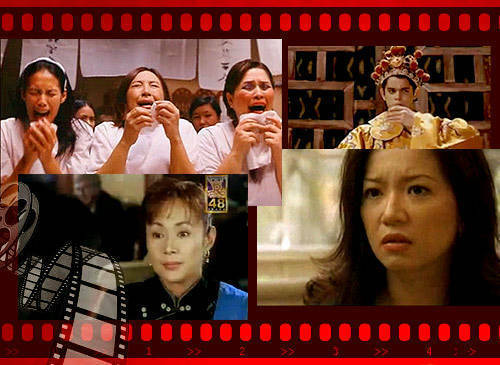 Popular Pinoy films that showcase Chinese culture-some well done, others just plain bad. 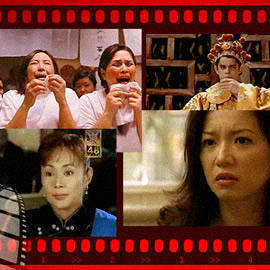 Sharon Cuneta, Vilma Santos, Richard Gutierrez-who else went Chinese for a role? 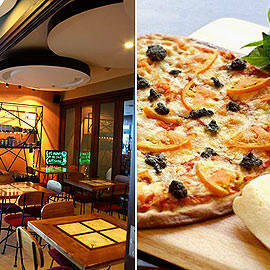 (SPOT.ph) There’s no denying Chinese culture has affected our own culture in one way or another,with indelible traces on Pinoy food, habits, language, and even our attitudes. In fact, it’s influenced us so much that several films have been made to commemorate, or at least, acknowlege the presence of Chinese traditions in our own local lifestyles. For the year of the Dragon, we’re taking a second look at several films that either have some Chinese elements in them. Some are nicely crafted, others are just (admittedly) plain bad. Still, these movies got made and they do have their fans. Premise: Three children with magical powers are tasked to restore the balance in their magical world, Samadhi, from the threatening Ravenal. The Chinese influences in this 1996 award-winning film are fleeting but blunt. It is most evident in Sifu (Jun Urbano), an elderly man who mentors the three in discipline and martial arts. The word "sifu" is derived from the Chinese term shi fu (師父) which means "master." He has six dots on his head similar to those worn by Mahayana Buddhist monks although his marks bravery and merit while monks carry them as a sign of commitment. Moreover, Sifu can transform into a Shaolin warrior-child (played by Sydney Salicdan) complete with a shaved head and costume. Premise: It’s all about two "mixed-up" sets of "twins" (each pair is made up of Navarro and Agbayani) and their shenanigans. With each of them playing dual roles (as Pinoy twins and Chinese twins), comedians Vhong Navarro and Bayani Agbayani are (obviously) not quite believable when they’re made to look Chinese. They also speak in exagerrated Chinese accents and use just about every stereotype about the Chinese as punchlines. For all its craziness, the movie’s abundance of twins reminds us of the 1988 film, Big Business, which stared Bette "Wind Beneath My Wings" Midler and Lily Tomlin. As one of the few long-standing movie franchises in the country, Mano Po films can usually be counted on to dominate the annual Metro Manila Film Festival. While the series has been quite helpful in showcasing the very specific Chinese-Filipino culture, some interpretations are mere exaggerations. We also can’t get past the terrible accents and taped "slanty" eyes. With the numerous chinita and chinito actors in this country, we hoped for someone who looked more authentic. Hence, we’re campaigning for Papa Chen (Richard Yap) of My Binondo Girl for Mano Po 7 (if they’re planning to film one). Here's a tidbit: half-Japanese actor Jay Manalo (counting Ako Legal Wife) and veteran actress Boots Anson-Roa have starred in the most Mano Po films with four each; Kris Aquino, Christopher de Leon, and Zsa Zsa Padilla have each been in three. Premise: This is based on the story of Evelyn Duave, a woman who got sucked into a life of crime and eventually got jailed for murder. The Star For All Seasons plays the woman who was dubbed, "Baby Tsina" (or "Baby China" in court documents), simply because she looked Chinese. Other than that, there are no other Chinese references in the movie. Although, we have to say that Santos can easily pass for Chinese with her petite frame, porcelain skin, and delicate features. However, the movie is anything but delicate-what with the violent content. Premise: A woman finds a lucky bagwa (var. pa kua) but every time good fortune comes her way, someone dies. Each death is directly related to the victim's Chinese zodiac sign. While the plot has no historical basis whatsoever, it made use of several Chinese references like the mention of the Chinese zodiac signs, the supposed powers of the bagwa to attract luck, and the foot-binding tradition where women's feet were bandaged in their youth to prevent them from growing. However, when Lotus Feet came padding toward her next victim in her teeny feet, we threw out all Chinese connections and screamed. Forget tradition, forget education, this film really just scared the hell out of us. Premise: An average guy rescues a Chinese kid from a group of criminals who worship the Devil. Enteng (Dolphy) accidentally rescues The Dragon Child (Vandolph) from a crime lord (Eddie Garcia), who wants to offer the kid as human sacrifice to the Devil. Apparently, the kid has mystical powers and, as such, threatens demon worshippers. (Yes, it’s a comedy.) There many scenes showing temples emblazoned with dragon artwork and decorated with dragon artifacts. There are also monks of some sort (though it’s not clear if they’re supposed ot be Buddhist). The film showcases Vandolph at his cutest. Of course, they also had to tap a legit martial artist, Monsour del Rosario, so there would be legit-looking fight scenes. The title, by the way, is a take on the 1973 Bruce Lee film, Enter the Dragon. Premise: The first wife of a Chinese businessman suddenly finds herself competing with his two other wives. Zsa Zsa Padilla's line "Ako legal wife" in Mano 2 became so popular that it spawned an entire movie. The film, which pokes fun at several Chinese traditions like arranged marriages, concubines, and the importance of male sons, succeeds at balancing cheeky humor without being insolent. Zsa Zsa was so convincing that she even won several Best Actress awards while second wife (the lucky wife) Cherry Pie Picache received Supporting Actress nods. This is the only blatant comedy in the entire Mano Po franchise. Premise: A barangay tanod and a Royal Hong Kong Police operative join forces to nab a crime group. Cythia Luster, who was half Japanes and half Chinese, was popular for her martial arts moves. Her real name is Yukari Oshima. The movie title, as usual, is a take on another movie: 1991’s Once Upon a Time in China, which starred Jet Li. Premise: A taxi driver is left with a Chinese kid who is being chased by a syndicate. Don't confuse this film as part of the Okay Ka Fairy Ko/Enteng Kabisote franchise. While Vic Sotto's character is once again named Enteng and while it stars several Okay Ka Fairy Ko mainstays, this one's more Chinese than it is magical. Strangely enough, Enteng appoints himself the dangerous task of protecting the Shaolin kid but the kid has to teach Enteng the kung fu he needs to protect him. Premise: Desperate to earn money, three women become mourners-for-hire. Stella (Sharon Cuneta), Rhoda (Hilda Coronel), and Choleng (Angel Aquino) get hired by a kindhearted Chinese businessman named Wilson Chua (Eric Quizon) to cry at his father’s weeklong wake. Apparently, professional mourning is becoming an obsolete gig, except Wilson’s mom wants a traditional Chinese funeral. So, he ends up with the quirky trio: Stella the con artist, Rhoda the former actress, and Choleng the serial adulteress. It’s nice to see that none of the Chinese characters in this movie are caricatures. The movie was the Best Picture in the 2003 Metro Manila Film Festival. (Those were the days.) It was also submitted for consideration to the 77th Academy Awards for the Academy Award for Best Foreign Language Film. Unfortunately, it didn’t make the Oscars cut. Art by Warren Espejo, with film still and posters from Feng Shui, Mano Po, and Crying Ladies. 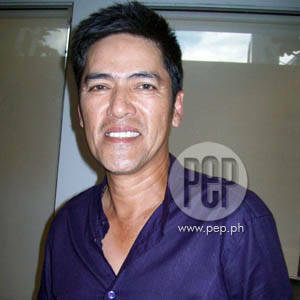 Additional image credit: Vic Sotto photo from PEP.ph.